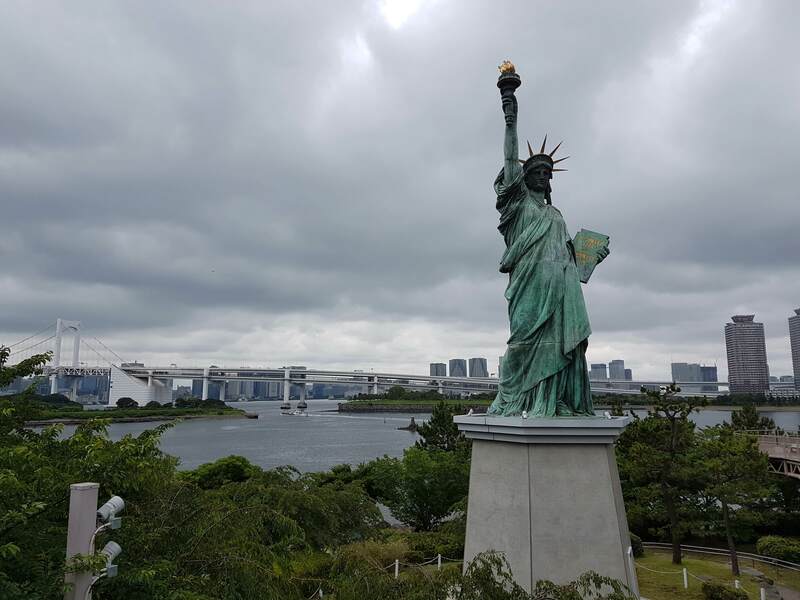 A few miles east of my hotel is Tokyo harbour, a sprawling cargo complex that also has some good sightseeing points that are worth checking out. True to form I got lost twice along the way, but had some help from security guards who understood my broken Japanese and pointed me in the right direction. One of the detours I didn’t expect Google to take me on was a tunnel under a dozen or so train lines. 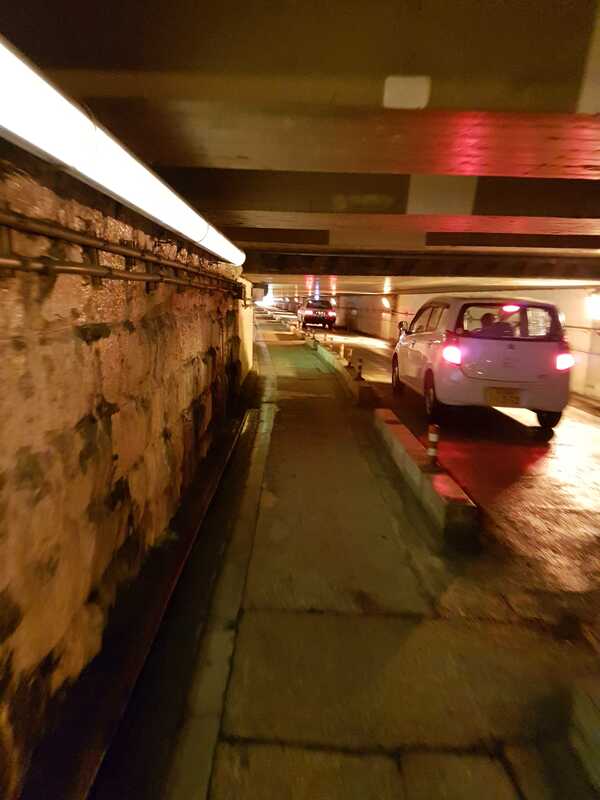 The tunnel – think Harry Potter 5 but with less headroom – gives cars, bikes, and pedestrians a way past the rail lines without a lengthy detour. The concrete roof comes down to about 5 feet at its lowest point, and the passage is only just wide enough for a walker, biker, and car to go abreast, but it makes for a good photo, especially if you can get one at the end of the tunnel when a car is coming through. After the tunnel comes the Rainbow Bridge. It is, in a word, big. 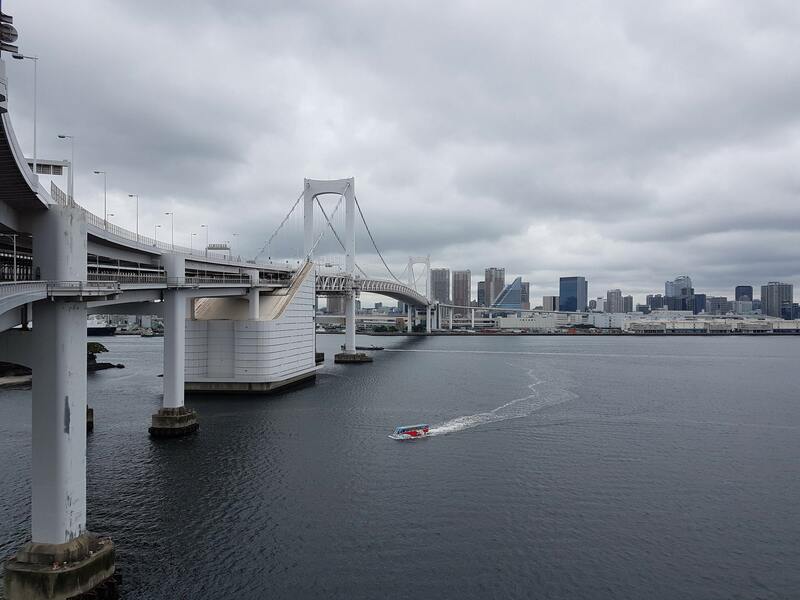 The bridge connects several man-made islands on the west side of the port with Odaiba Park, a historical site turned beachfront, and spans nearly twice the length of Niagara Falls’ bridge with the same name. It’s a double-decker bridge, with 4 lanes on top and 4 underneath, plus 2 train tracks in the middle and pedestrian paths on either side. In good weather you can see Mt. Fuji on the south promenade, but failing that the bridge lights up at night and gives you a great view of downtown and the rest of the harbour. Odaiba Park is what remains of several cannon batteries that were build to defend the harbour from the Americans in the 1850s. Most of the defenses are gone now, and in their place is a large park that some kids were playing soccer in as I walked by. There’s also a beach and recreation area, plus a marina for boat tours if you’re looking for a different view. And of course, I also ran into someone you might know (she's shorter in person). After the beach I went to the Trick Art Museum, home to all sorts of optical illusions and photo opportunities. This is a great place to go if you’re with friends or have kids. 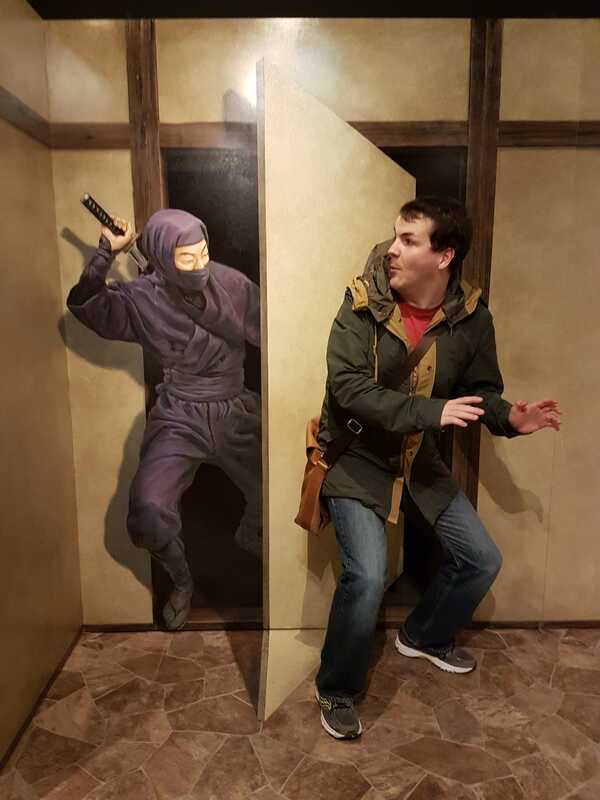 If you’re travelling solo the museum staff will also help take photos as well – most of the pieces are interactive and it helps to have someone to hold the camera. 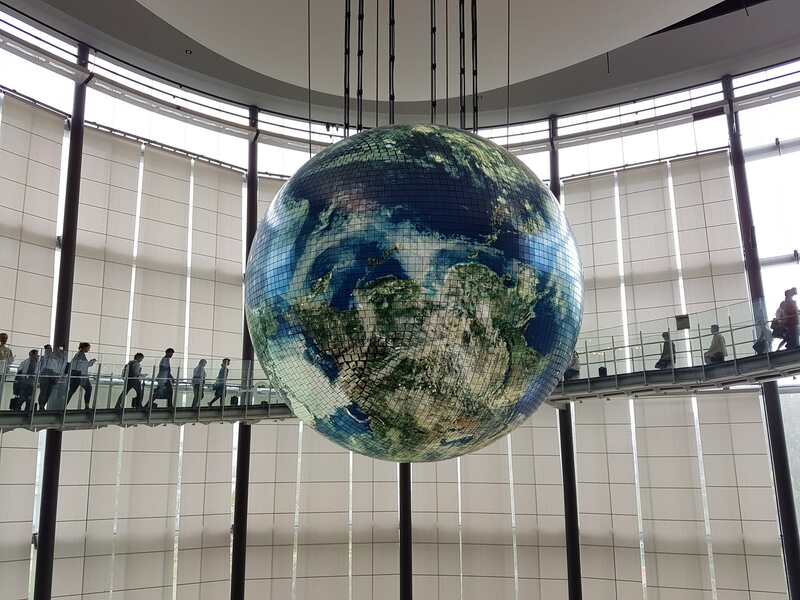 My final stop for the day was at Miraikan, the National Museum of Emerging Science and Innovation. This is a must-see, especially for families or science teachers. The museum is built around asking interesting questions about the world and sharing how scientists tackle these questions across all sorts of fields. Robotics, astrophysics, environmental science, forensics, and several other disciplines all have a home here. 2 dozen Nobel Laureates have also visited the museum, and each of them have posed a question for guests to reflect on as they tour the exhibits. A very interactive museum that filled nearly 3 hours of my day – well worth it.